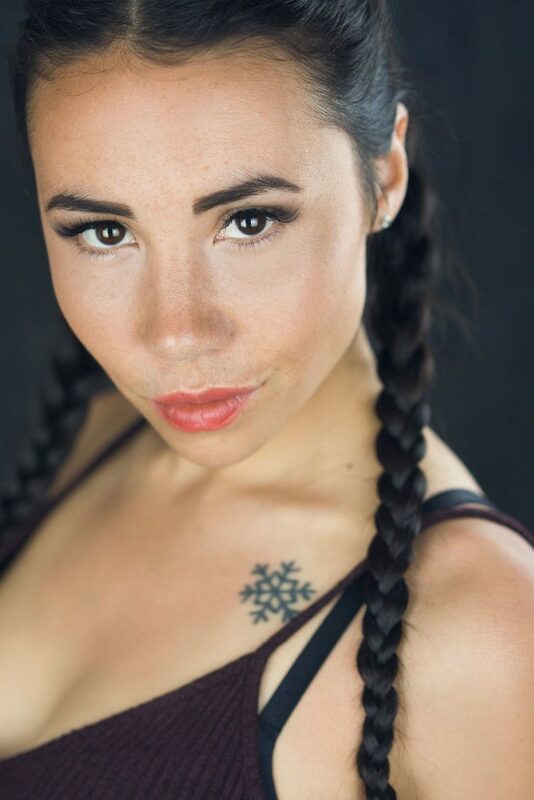 We catch up with Indian Country's most talented female hoop dancer Marika Sila. 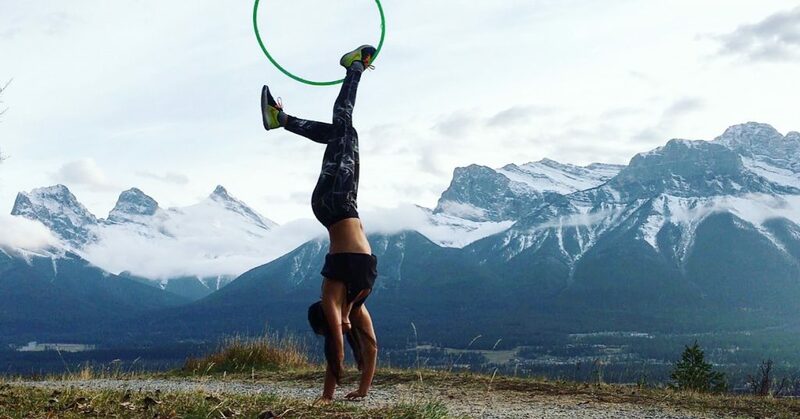 Hoop dancing has taken Inuvialuit actress, fire performer, yoga teacher and self-professed “hoop ninja” Marika Sila across the world, such as Greece, Rome, Venice, and Budapest. She performed for audiences of all sizes, from small youth workshops to enormous festivals overseas. By the looks of her videos she posts of herself performing on Instagram (she boasts more than 20,000 followers! ), it’d be hard to believe that she started hoop dancing just four years ago. We catch up with Indian Country’s most talented female hoop dancer of the moment about her hooping adventures and what inspires her to keep going. I was born in Yellowknife, raised in Canmore AB, but my family is from Tuktoyuktuk, NWT. I am Inuvialuit, also known as a proud Canadian Eskimo. What did you do before hoop dancing? I was a competitive cross country ski racer for 15 years of my life. I trained hard for it and won many national level medals for my age category at the time. I was good, but it was not my passion. All my life I wanted to be a hip-hop dancer, but I did what I thought would make my family happy for so long until I quit at age 17. For a while, I got caught up with the wrong crowd after I didn’t have a clear goal in mind. I was living with my uncle at the time who struggled with alcohol abuse, and I wanted to help him get sober, so I started my journey of sobriety to try and help him with his addiction. Sadly, we eventually lost him to the addiction about five years ago, and since then I have been dedicated to living a life of sobriety, health, and wellness. I have started a company with my partner called RedPath Talent. 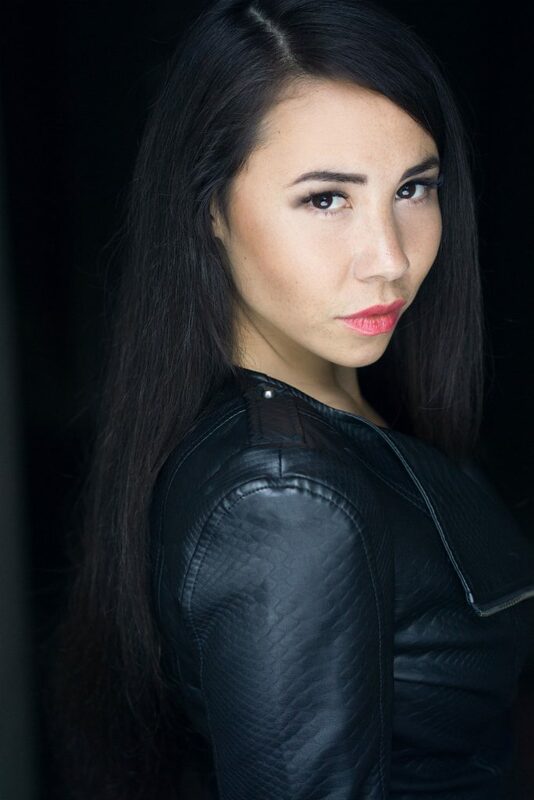 We perform at weddings, corporate events, festivals, and host workshops and youth empowerment seminars focusing on the power of sobriety, anti-bullying, self-love and the protection of Mother Earth. When did you get into hoop dancing? I started hoop dancing about four years ago when I was studying in Costa Rica to get my Yoga Teacher Certification. What has your journey been like being a hoop dancer? What lessons has hoop dancing taught you? My journey as a hoop dancer started out as the most exciting thing I have ever experienced; I literally couldn’t put the hoop down. I went to bed thinking about it and woke up thinking about it. It teaches me a different lesson every time I practice. Some days it teaches me about self-discipline, and some days it motivates me to have fun with life. Somedays it helps me connect back to myself, and some days it is just humbling. I owe so much to these plastic circles, they have taught me so much and have brought me on so many amazing adventures. 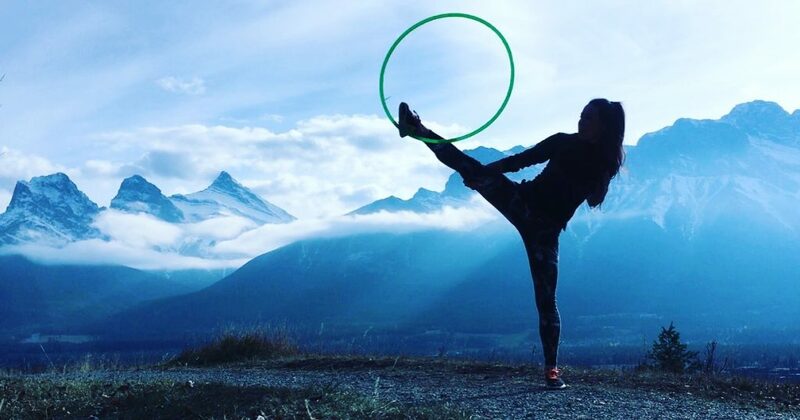 Where has hoop dancing taken you? My favorite place so far has been Vimy, France last year when my partner and I performed at the National 100th Anniversary of the Battle of Vimy Ridge. I love performing, but my favorite part about hoop dancing is going into First Nations communities and teaching the youth how to hoop dance. Do you idolize any fellow hoop dancers? I’m always inspired by other hoop dancers and any dancers of any discipline. But my biggest Idols have to be actresses and music artists at this point in my career. What actresses and music artists do you look up to? Natalie Portman is my favorite all time actress. And music wise, Cardi B is a massive inspiration to me, but Beyonce will always be number one. I’m a sucker for hip hop and RnB music. Music is my fuel when I am dancing. It fuels my inspiration, and I believe it is so essential for anyone to stay inspired in life no matter what they do, whether they are an artist or not. Staying inspired gives me more energy than any energy drink, or more energy than any amount of rest could ever give me. What’s your advice to anyone interested in hoop dancing? Whenever you’re starting something new, you have to believe you can do it, and be willing to go through the first awkward stages. Everyone goes through it, and don’t get discouraged when it gets hard. Repetition is the key to mastery. When you drop the hoop, dance it off. Every hooper, even the best hoopers in the world still drop their hoops. If you get mad at yourself when you drop your hoops it won’t be any fun, laugh it off and enjoy the process. The process is the most fun part. I believe life is about having as much fun as possible and enjoying the small things in life, like family dinners, laughs with your friends, hikes in the mountains and plastic circles. Follow along Marika’s hoop dancing adventures at @thehoopninja on Instagram and visiting www.redpathtalent.com.